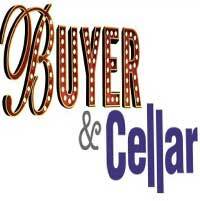 BUYER & CELLAR is a comedy about Alex More, a struggling actor who takes a job managing a make-believe shopping mall in Barbra Streisand's basement. It was a 2013 off-Broadway hit, running for 13 months at the Barrow Street Theatre immediately after its sold-out world premiere at the Rattlestick Theatre. A national tour starring Michael Urie played Chicago for six weeks in 2014. It has been performed in many countries around the world since then. "...This Chicago production, written by Jonathan Tolins ("Twilight of the Golds") and skillfully directed by Donterrio Johnson, is beautifully and artistically supported by Evan Frank's lovely, detailed scenic design, Mike McShane's sound and light compositions and a comfortably realistic wardrobe (notice Gryder's Mickey Mouse socks) by Jos N. Banks. The highest praise I can give this rollicking, sometimes poignant one-man play is that Scott Gryder is not only stellar in this role, and delightfully insightful within the show, but he seems like a great guy. He'd be someone theatergoers would enjoy hanging out with over a drink. For a cheerfully captivating evening of entertainment and enlightenment, do not miss this especially wonderful production that's as gay and lighthearted as Springtime." "...Buyer and Cellar is a treat, both as a window into a very strange world and a comic tour de force for Gryder, whose skills and joy of performance are perfect for Tollins' journey. Get out to see it; you won't be disappointed."